Enjoy part 2 of this 4 part mini-series from the very talented Nika Harper! And be sure to follow her on Twitter or check out her site! Bolverk knew this sensation. It seared and held on tight, digging as deeply as it could, and he roared in unexpected pain. The little arrow wasn’t so buried in his shoulder after all; Bolverk sat upright and nearly dislodged it from its place. He shrugged the thin frost off his bare arms, covering them in his bearskin cloak and growled, expecting a fight. Her feet were solid in the deep snow, and her face showed no signs of intimidation. 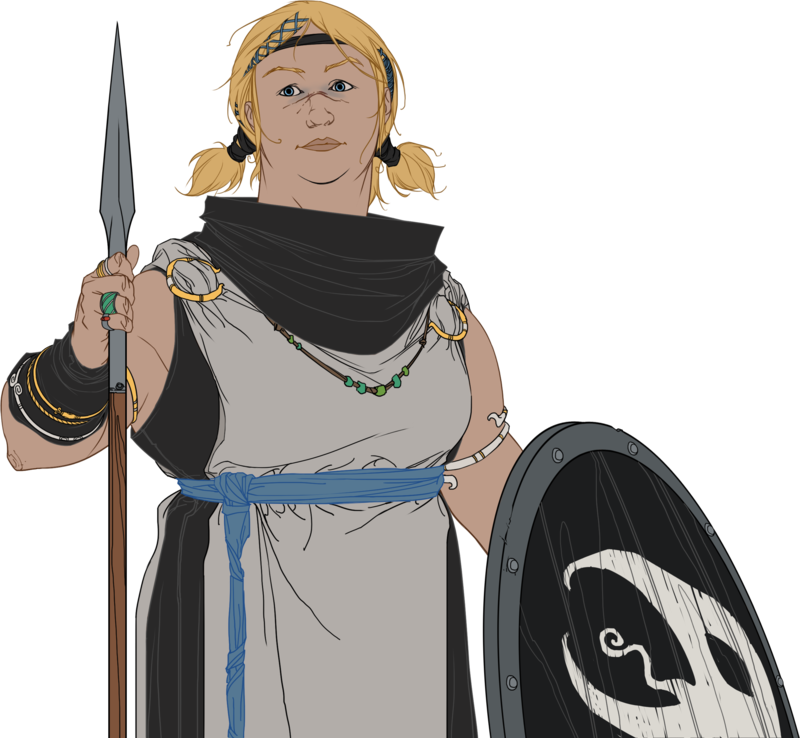 A bear would retaliate against the attack, Bolverk knew, but her bow faced the ground and she made no further effort to draw. In this ice-quiet place, sounds muffled by peaceful snow, Bolverk was at a loss for how to respond. He grasped the arrow, tearing it out of his skin. “I might have shot you in the shoulder just now, if you’ve forgotten.” She closed her bag and shouldered her bow. Unafraid–like a smile on a stone wall. Bolverk watched her cut a path through the gentle snow, making the only sound for miles. She knew her way around the forest, even if she couldn’t tell the difference between a bear and a berserk. He tucked the leathery gift under his bearskin cloak and lurched further into the woods, feeling the icy wind on his bare chest and in the hole of his shoulder. Using civilized goods went against the nature of his rite and of this journey, but damned if he’d be taken down by the wayward arrows of a girl.